Colombian firm to focus on the sale of fuel oil and crude oil cargoes to clients. C.I. Pacific Fuels International S.A.S. (Pacific Fuels) has confirmed that it has exited the retail bunkering sector in Colombia. Speaking to Bunker Index, Alejandro Zamora, Planning and Sales Manager at Pacific Fuels, said that the decision to exit retail bunkering had been made last week at a meeting of the board of directors. Zamora said that the business was being restructured to focus on the wholesale market, where a key area would be the sale of cargoes of intermediate fuel oil and crude oil to clients. Zamora added that the company would not be selling any of its key storage or transportation assets during the restructuring process. Pacific Fuels was officially established by Toronto-headquartered energy giant Pacific Rubiales Energy Corp. in January 2011, through its wholly owned subsidiary Petro Rubiales Corp. 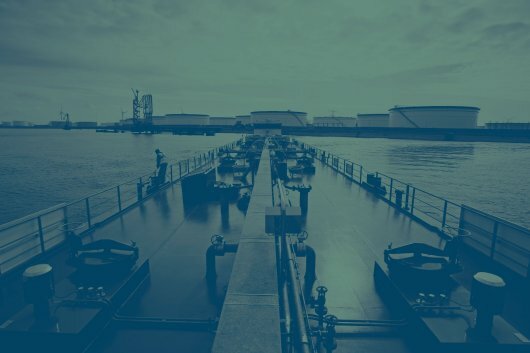 In November 2011, the company began selling marine fuels at a number of ports throughout Colombia, including Cartagena, Barranquilla, Santa Marta and Coveñas. The company had been using the tanker vessel Pacific Sun to carry out deliveries. The vessel has the capacity to store up to 8,000 tonnes of bunker fuel, including intermediate fuel oil (IFO) 380, IFO 180 and marine diesel oil (MDO). Outlining its downstream strategy towards the end of 2010, Pacific Rubiales confirmed that, as well as focusing on developing its presence in the bunker market, Pacific Fuels would also be involved in the supply of finished products to the wholesale market. "The company believes that this is the best way to start building a presence in the downstream market," Pacific Rubiales said at the time. "This downstream integration strategy is also an important piece in fulfilling the need for the company to gain a larger and more integrated presence in the Colombian market, particularly as it becomes the most important heavy oil producer in Colombia," the company added. As part of its downstream strategy, Pacific Rubiales Energy Corp. has also invested in Pacific Infrastructure Inc. - a private Panama-based company developing a new crude oil and products terminal and port (Puerto Bahía) at Cartagena, as well as a new oil pipeline that will link Coveñas with Cartagena. Commenting on the company's investment in the project last year, Ronald Pantin, Chief Executive Officer of Pacific Rubiales Energy Corp., commented: "This additional investment in the Puerto Bahia Port Project further solidifies the company's role in the development of the project, ensures our foothold in what will be one of Colombia's most important infrastructure projects, and is strategic to our future oil production growth plans. We look forward to working with the Pacific Infrastructure team as we move forward in the development of the port."